Wechsler ME, Kelley JM, Boyd IO, Dutile S, Marigowda G, Kirsch I, Israel E, Kaptchuk TJ. N Engl J Med. 2011 Jul 14;365(2):119-26. On SMR, we’ve discussed a few papers (see below) related to the placebo effect which is the beneficial influence of a simulated treatment or experience of receiving a treatment. However, it is unclear whether the placebo effects can influence objective and subjective outcomes. Furthermore, it has been difficult to determine if the placebo effect is different from normal changes over time. To address these questions Wechsler et al conducted a randomized, crossover study (every patient received every intervention) among 46 patients (39 patients completed the study) with asthma and compared the acute changes in lung function after four interventions: 1) masked bronchodilator inhaler (albuterol; double blinded), 2) inert (placebo) inhaler (double blinded), 3) sham acupuncture (single blinded), and 4) no intervention (no blinding). Initially, 79 patients were asked to avoid taking their asthma medication for a designated amount of time. Following this washout period, lung function was tested before and after being given albuterol and only participants that showed improved lung function after receiving albuterol were included. After screening, the participants returned within a week to start the first part of the study. During the first part the study the participant received every intervention in a random order (with 3 to 7 days between interventions). The first part of the study was then repeated two more times. During each part of the study the intervention order was randomized. Therefore, participants participated in a total of 12 randomized treatment sessions (4 interventions times 3 sessions/treatment). Before each intervention participants were asked to refrain from short-acting (at least 8 hrs) and long-active bronchodilators (at least 24 hours). Study outcomes included objective (spirometry; lung function: maximum forced expiratory volume in 1 second) and subjective reports of perceived improvements in asthma symptoms (visual analog scale). Albuterol (20% increase) lead to a greater improvement in an objective measure of lung function than the three other conditions (only a 7% increase). Interestingly, patients’ perception of improvement was similar among albuterol inhaler (50% improvement), placebo inhaler (45% improvement), and sham acupuncture (46% improvement). Those three interventions all lead to a higher perception of improvement compared to receiving no intervention (21% improvement). This study is interesting because albuterol resulted in a large objective therapeutic change, almost three times the effect of the placebo interventions, but yet patients reported that the placebo interventions were just as effective as albuterol when compared to receiving no intervention. The authors note that while the placebo effect is clinically meaningful we need to recognize the potential limitations of patient-reported outcomes. This does not dismiss the need for self-reported outcomes; after all, this is probably what the patient is most concerned about. The authors suggest that it may be informative to evaluate how patient-reported outcomes change over the course of a disease without treatment. Within the sports medicine community, it is important for us to use both objective measures as well as patient-reported outcomes and recognize the benefits and limitations of both types of outcomes. More specific to asthma, which we often deal with, the authors suggest that subjective outcomes should be interpreted with caution while objective outcomes should be more heavily relied on for optimal asthma care. More and more we are going to be asked to use patient-reported outcomes AND objective outcomes to progress in the clinical setting. What are your experiences? Richard, thanks for the comment. 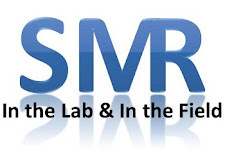 SMR recently had a post on the benefit of inspiratory muscle training (link below). While there is good evidence that inspiratory training may be beneficial I am not aware of any evidence to data that this training can eliminate asthma symptoms. If you have references to some papers I am sure everyone would be interested to read about the studies. In regards to the influence of asthma medications and the incidence of asthma: Do you have any papers to support this hypothesis? It seems a bit counterintuitive since you are only given the medication after you've been diagnosed and there's data to suggest that exercise-induced bronchoconstriction is not being diagnosed enough among athletes (see post link below). We look forward to seeing any studies you can offer. inspiratory pressure (studies by Paltiel einer) with training. This pressure is not a direct indication of health. Asthma drugs have turned out to be gateway drugs and it would maybe better to ban them entirely in sport having regard to the success of IMT. This might well be the lesser evil. Richard, thank you for the comments and the links. While theories can influence research it is important to note that clinical practice should be decided by data. 1. There is some evidence that inspiratory training may be beneficial for reducing symptoms. If you have references to studies that indicate it can do anything more than that then I am sure everyone would be interested to read about them. 2. It seems a bit counterintuitive to suggest asthma medication and the incidence of asthma b/c you are only given the medication after you've been diagnosed and there's data to suggest that exercise-induced bronchoconstriction is not being diagnosed enough among athletes (see post link below). While this may be an interesting theory to explore in an epidemiology study I don’t see any data to suggest that clinical practice warrants change. If you have references to studies that support this we’d be glad to read them. See links provided in my comment above for references. Richard: I believe, for some patients, there may be value in inspiratory training; as noted in my comments above. The data to date, seems to suggest that inspiratory training could be a good adjunct to care with the hopes of reducing the need for medication but there is not sufficient data it seems to suggest the training could serve as a replacement for inhalers.